I believe Maniac stated "Galaxy Silver" worked best for him. My question was, should I just touch it up the best I can on the damage shown below? I bought it like this, and this is the last area really that needs help. Wanted to get your opinions and thoughts, thank you. I'd just repaint that whole strip with as close as they can match it. Too much of a pain to blend that spot when the whole part isn't really that big. I might have to go that route, thank you. Would it be worth in trying to find a replacement part for the whole thing? I've never tried to replace these things before, and a quick search on Ebay doesn't yield any results. Was curious. Honestly, I don't own a 6th gen, so I have no idea what that part costs. In my opinion, I think it would be cheaper & easier to just repaint it. Even if you found one online, shipping is going to be expensive. 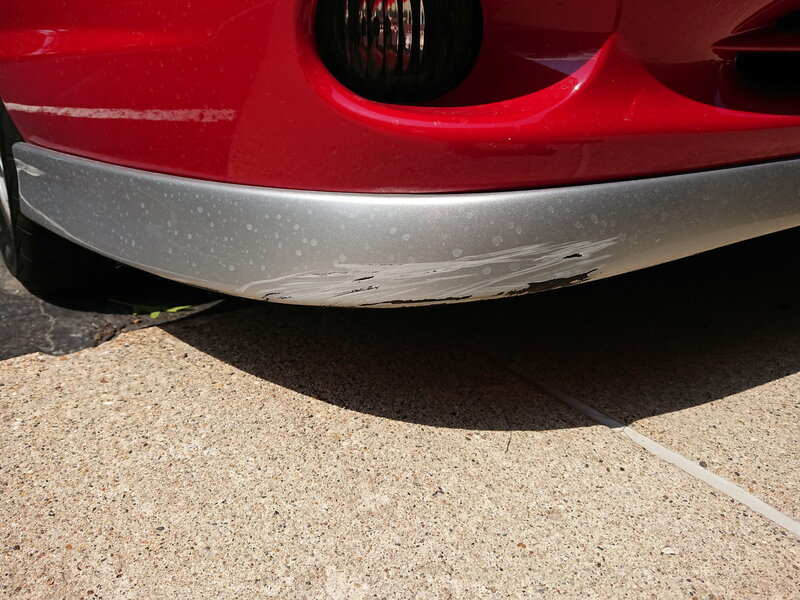 It looks like the actual plastic damage is minimal to none, so it should be a very easy fix. Yes I would use some wet+dry sandpaper to smooth out the jagged edge of the paint and repaint it with a touch up spray can. The lower ground effect for the High Sport option is very expensive, used ones are around $250-300 + shipping and as far as I know original GM ones are discontinued. I'd have to agree with repaint whole thing, you might try compouding and buffing, it will still be noticeable but not as much. Find all posts by Joe Reber Sr. I took one off a 6th gen on the rear to try and mount on another car once. There are a few fasteners and clips under it. Remove the unit and sand and fill any deep gouges. GM makes a Can Paint that you can buy and you can get it in 2 parts base coat and clear coat, shoot it and put it back on. Please Note: If you have excess paint, wipe away with a clean cloth and start again.